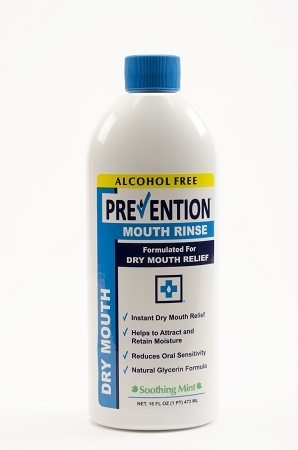 Prevention Dry Mouth Rinse helps to relieve Dry Mouth symptoms and prevent complications due to Xerostomia. Prevention Daily Care - 16 ou. Prevention Mouth Sore Rinse - 16 ou. Prevention Oncology Mouth Rinse - 16 ou. Copyright Prevention Health Sciences. All Rights Reserved. by 3DCart Hosted Ecommerce.